Meringue is a mixture of eggs whites and sugar that when blended properly develop into a thick, fluffy consistency. Meringue can be used as a topping for pies, to create cookies, and to decorate cakes. There are a few types of meringue and each can be used in different ways with great success when cake decorating. You can frost and pipe decorations on all your cake creations with Swiss and Italian meringue buttercreams and make design elements with baked French meringue. All three types of meringue utilize the same basic ingredients, but the preparation techniques differ, creating distinct end-products. Any type of meringue can be a little tricky to make, but by following a few rules you can increase the chances of success. This is not a product where you can showcase your creativity with dashes of this and pinches of that; you need to stick to the recipe and follow the instructions to the letter. There are buttercream variations, however, including chocolate, vanilla bean, raspberry, mocha, caramel, and even lemon. This meringue buttercream is the best, easiest, and tastiest icing to use when decorating cakes. Egg whites and sugar are combined and heated in a double boiler until the sugar has dissolved and the egg whites are cooked; then the mixture is whipped into its signature glossy texture, and mixed with plenty of butter. Swiss meringue may seem like it is a lot of work, but this icing is very forgiving if mistakes are made. For example, if the buttercream looks like scrambled eggs after the butter is added, continue to beat it on low speed until it cools a little and it will thicken up. This buttercream needs to be at room temperature when consumed because if chilled, it will solidify and lose its fluffy texture and sweet taste. If you do not add the butter and flavoring in the last stage, you can use the meringue to create design elements such as birds, rosettes, and disks. When making Swiss meringue, make sure the water in the pot under your bowl of sugar and egg whites is not touching bowl or simmering too vigorously. If so, you will end up with scrambled eggs instead of fluffy white meringue. Also, make sure the bowl has cooled down before adding the butter (after the whites are fluffy) or the butter will melt instead of incorporating evenly. Italian meringue buttercream is very similar to Swiss meringue buttercream in terms of the ingredients but is quite different in technique. For an Italian meringue, the sugar is combined with water and boiled until it reaches the soft ball stage. You will need a candy thermometer for this process and a little experience with creating soft, ball stage sugar (240 to 245 F). This simple syrup is then whisked into beaten egg whites and the butter is blended in. This meringue is a lovely light icing that is not too sweet and perfect for decorating cakes and cupcakes since it is firm, stable, and glossy. Italian meringue is not usually attempted by home chefs because cooking sugar can be intimidating the first time but it is well worth the effort. This is the meringue made most often by home chefs and requires the least work—but it is also the least stable of the three types. It is simply white sugar beaten into egg whites. You can bake this type in the oven after piping it into nests, disks, mushroom shapes, or even mice. If you want to create a truly decadent cake, try adding ground nuts to French meringue and baking disks to put in between cake layers. The crunch and texture are amazing. If you are making French meringue for crispy disks or baked decoration elements, try not to overheat the meringue in the oven or they will end up a darker color than is desired. Wedge the oven door open a little with a dish towel to avoid an overly hot baking environment. You are actually drying the meringue out—not cooking it—so try for a 158 F oven for best results. Get a good oven thermometer to ascertain the temperature before you end up with ruined creations. 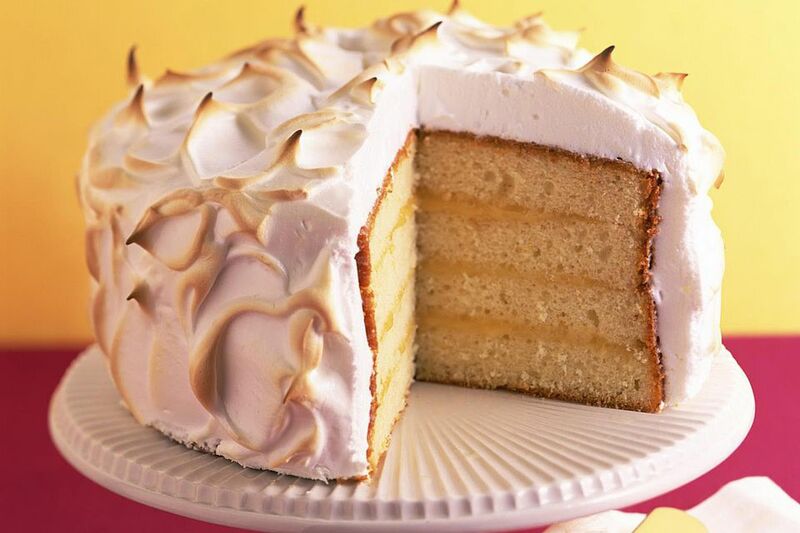 In addition to following the recipe exactly, there are a few guidelines you need to follow to achieve meringue success. To save a lot of time and a very sore wrist, use a clean mixer to create your various meringues. Do not use plastic bowls—stainless steel is best. And it is important that your equipment is completely clean without any traces of grease residue; grease will make it harder to get your egg whites as foamy as you need them to be. Try wiping the stainless steel bowls with half a lemon to ensure there is no grease. Another tip is to be careful not to add the sugar too early in the process. The egg whites need to be at the soft peak stage or your meringue will fall flat and never achieve the lightness and high peaks that are desired. Nothing is more disappointing than having your meringue fall flat after all of your work. To produce a more stable foam, try adding a little lemon juice or cream of tartar to your whites after the addition of the sugar. The addition of cream of tartar will also produce a crisper meringue. Swiss meringue buttercream and Italian meringue buttercream can keep for about a week in the fridge in an airtight container. Take it out when you need it and allow the buttercream to come back to room temperature before re-whipping it. You can also freeze these buttercreams up to 8 weeks. Caster sugar is a great option for meringue products, although granulated and icing sugar can also be used in a recipe. Each type will produce a different texture and flavor in the finished product. However, icing sugar should never be used alone because the meringues will be very sweet with no depth of flavor. You can use egg whites from a carton instead of separating the eggs yourself. There is a slight difference in volume (fresh whites whip up a bit more fluffy) but you won't waste the yolks using a carton of whites.